A desktop media player designed to bring together your local music, movies, video and online streams. 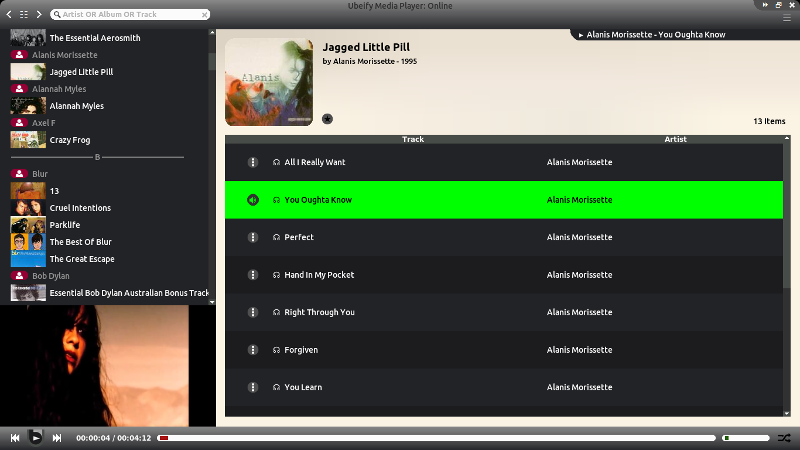 Ubeify uses Youtube & Musicbrainz to provide an integrated local and online streaming music experience. Think Spotify, but with music videos. 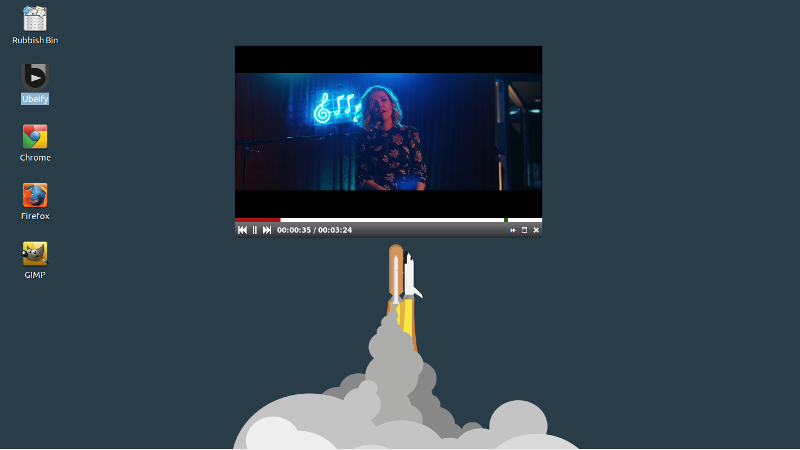 The software is FREE, fast, lightweight and uses OMXplayer on Raspberry Pi, or VLC on Linux & Windows for media playback. Add your own Youtube, Spotify or Deezer playlists. Browse chart feeds, online movie & Reddit feeds. Open a terminal, navigate to your home directory or USB drive, and enter the following commands. Download, open and extract ubeify.zip to your hard drive or usb drive. Double click ubeify.exe to run Ubeify. No further installs are required. If SmartScreen blocks running Ubeify, click "More Info" and select "Run Anyway". These shortcuts will only work when in playlist mode or switching to fullscreen video from playlist mode. They will not work when in windowed mode or switching to fullscreen from windowed mode. Questions, problems or suggestions? A support thread has been opened at raspberrypi.org forums here. For contact details, please see the _README.txt file contained within your Ubeify installation. Donate - Buy me a Beer!